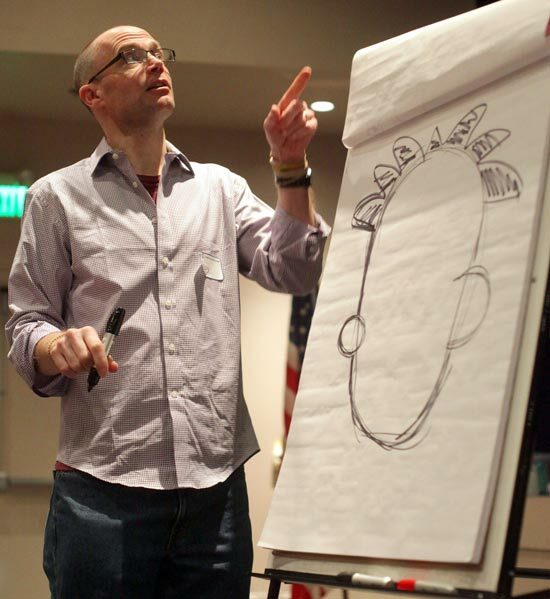 He started drawing and cartooning Big Nate in 1991. The cartoon is published more than 300 newspapers and is regularly hosted on Go Comics. The series follows a 6th grade boy through his adventures. The comic strip turned into books for Big Nate and the 8th book was just published in February of this past year. It is now a complete series - there will be no more Big Nate books in the near future. But, the comic continues! So, you can still follow Big Nate. In my experience, the books are hugely popular with upper elementary school boys. Big Nate even has a website! Lincoln Pierce's comic strip books are most appropriate for middle elementary on up. You can check out his Big Nate comic strips here.